It's the time of year when we turn to Corvettes at Carlisle and our fond memories of Chip Miller and the organization he helped to build. The legacy within the collector car community of Chip is legend. His brand of enthusiasm, passion, and love for the marque was only overshadowed by that same enthusiasm and love for the people who were also passionate about these cars. So when I read the NY Times picked up this story, I thought how awesome it is that the fire Chip had for the Corvette in life continues 8 years after his death. Chip Miller's quest Complete? 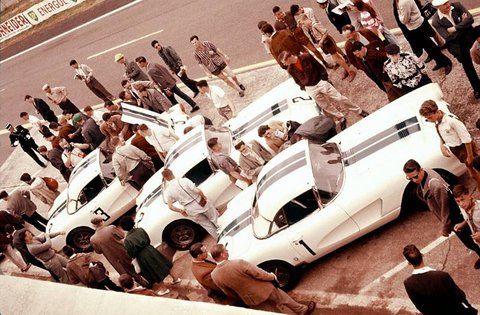 Long-Lost Le Mans Corvette.